Singh TU, Choudhury S, Parida S, Bhojane S, Mishra SK (2012). Arachidonic acid inhibits Na+-K+-ATPase via cytochrome P-450, lipooxygenase and protein kinase C-dependent pathways in sheep pulmonary artery. Vascular Pharmacology, 56(1-2):84-90. Singh TU, Kathirvel K, Choudhury S, Garg SK, Mishra SK (2010). Eicosapentaenoic acid-induced endothelium-dependent and - independent relaxation in sheep pulmonary artery. European Journal of Pharmacology, 636(1-3):108-13. 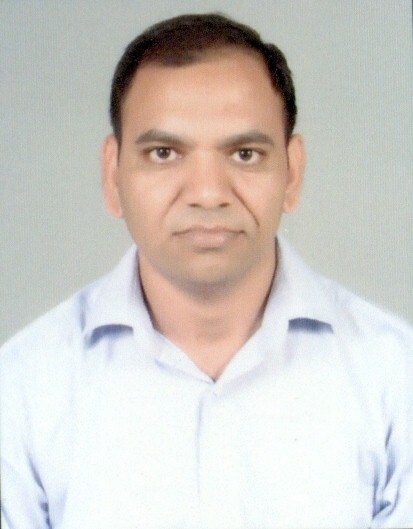 Singh TU, Garg SK, Mishra SK (2012). Evaluation of effects of eicosapentaenoic acid on Na+-K+-ATPase in sheep pulmonary artery. Human and Experimental Toxicology, 31 (6):579-587. Singh TU, Kumar D, Tandan SK, Mishra SK (2009). Inhibitory effect of essential oils of Allium sativum and Piper longum on spontaneous muscular activity of liver fluke, Fasciola gigantica. Experimental Parasitology, 123(4):302-308. Sukumaran S, Singh TU, Parida S, Reddy NCE, Thangamalai R, Kandasamy K, Singh V, Mishra SK (2013). TRPV4 channel activation leads to endothelium-dependent relaxation mediated by nitric oxide and endothelium-derived hyperpolarizing factor in rat pulmonary artery. Pharmacological Research, 78C:18-27. Kasa JK, Singh TU, Parida S, Addison MP, Darzi SA, Choudhury S, Kannan K, Singh V, Dash JR, Shanker K, Mishra SK (2014). Assessment of Indian rosewood (Dalbergia sissoo) standardized leaf extract on isoproterenol-induced myocardial injury in rats. Cardiovascular Toxicology, 15(3):250-60. Parida S, Singh TU, Prakash VR, Mishra SK (2012) Molecular and functional characteristics of β3-adrenoceptors in late pregnant mouse uterus: a comparison with β2-adrenoceptors. European Journal of Pharmacology. 700(1-3):74-79. European Journal of Pharmacology, 630:84-91. Addison MP, Singh TU, Parida S, Choudhary S, Kasa JK, Sukumaran SV, Darzi SA, Kandasamy K, Singh V, Kumar D, Mishra SK (2016). NO synthase inhibition attenuates EDHF-mediated relaxation induced by TRPV4 channel agonist GSK1016790A in the rat pulmonary artery: Role of TxA2. Pharmacological Reports 68: 620-626. Choudhary S, Kandasamy K, Addison MP, Darzi SA, Singh V, Singh TU, Parida S, Debroy B, Paul A, Mishra SK (2015). Combined treatment with atorvastatin and imipenem improves survival and vascular functions in mouse model of sepsis. Vascular Pharmacology, 71:139-50. Kathirvel K, Prawez S, Choudhury S, More AS, Ahanger AA, Singh TU, Parida S, Mishra SK (2011). Atorvastatin prevents vascular hyporeactivity to noradrenaline in sepsis: role of nitric oxide and α1-adrenoceptor mRNA expression. Shock, 36 (1):76-82.